Rising in the Weald, bisecting the South Downs between Bury and Arundel, and then entering the sea at Littlehampton, the Arun Valley is a hotspot for breeding waders in the South East. Much of the lower part of the valley south of Pulborough is designated as both a Site of Special Scientific Interest (SSSI) and a Special Protection Area (SPA), recognising its importance to a wide range of wildlife. This year, working with the Arun to Adur Farmers Group (A2A), we undertook a survey in this lower part of the valley to assess exactly how many waders are breeding there and how productive they are being. 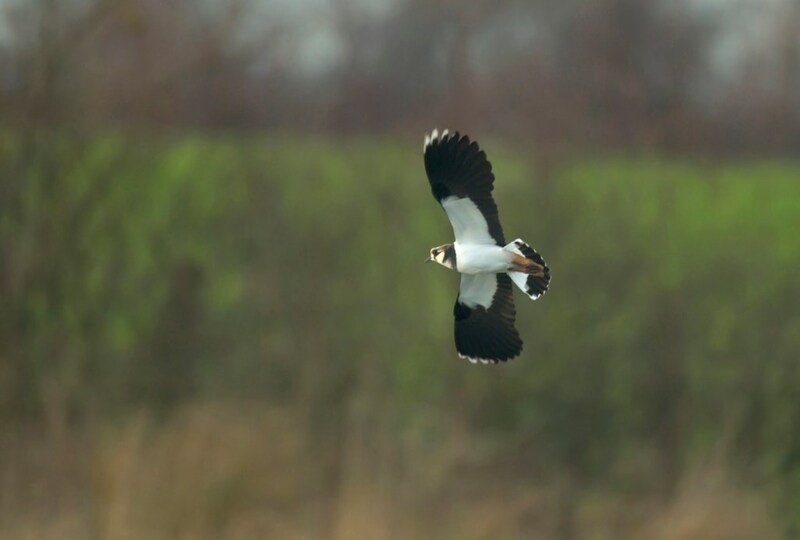 2017 will be the first year of an on-going survey so we can track the fortunes of key species such as lapwing and redshank, and provide up to date advice to landowners on how to improve the habitat for them. The surveys, undertaken by a team of skilled experienced volunteers, covered the land between Pulborough and Arundel. Four or five visits were made to each site between March and July, the data from which was used to determine the total number of breeding wader pairs. In some cases we were also able to calculate how many chicks each pair successfully fledged, but this proved to be difficult in other areas and is something we aim to improve upon next year. The meeting prompted some great discussion including innovative ways in which to count birds including high-seats and potentially drones, extra areas to include in the survey next year, and management techniques farmers could use to improve the wetland habitat and attract more birds to breed. The day finished with a visit to Offham Farm by kind permission of Ryan Haydon, where we looked at a site that had done particularly well for lapwing this year. 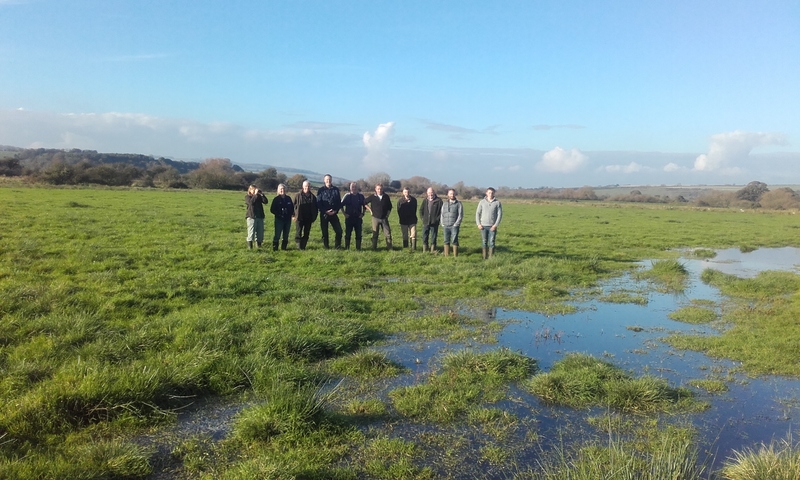 This offered an opportunity to look at the features on the ground and understand the management required to keep them in good condition for breeding waders throughout the season. By working with in partnership with farmers and farmer groups such as the A2A, conservation organisations including RSPB, Sussex Wildlife Trust and WWT, statutory organisations such as Natural England and a network volunteers, we hope to further enhance the Arun valley for breeding waders into the future. Watch this space for further update on the project. If you farm areas of wet grassland for breeding waders, some useful management information can be found here.